Take a look at some of our garages, we can deliver your garage in 1 piece or build your garage on site. 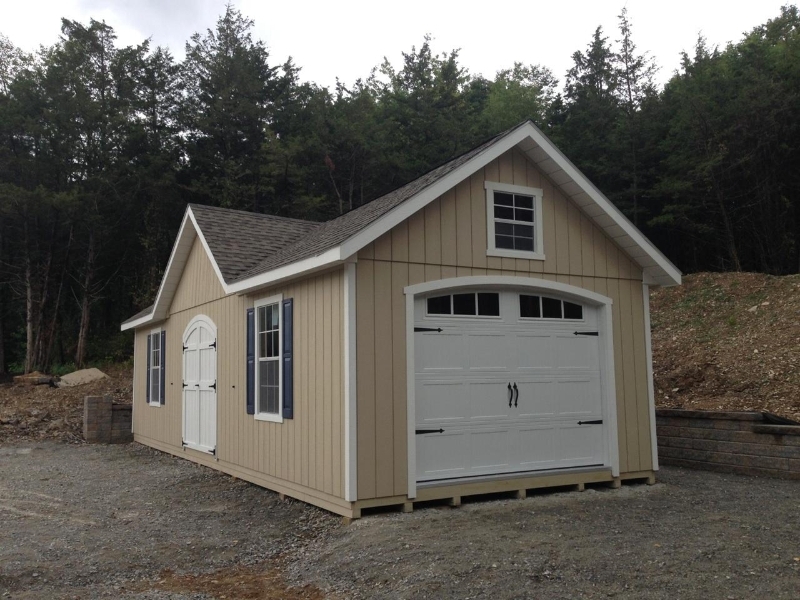 By adding a garage door to some of our select models in our different series, you can have your new garage. In our Traditional Series, you can add this option to the Cape Cod, Colonial, Dutch or 7′ wall A frame. Some of the other models with custom work will allow for a garage door. In our New England Series, this option is available on the Elite, Cape Code, Colonial, Dutch, Nantucket or Lincoln models. All these models are deliverable in 1 piece with the exception of the Lincoln. The Lincoln always will require the roof to be assembled on site. 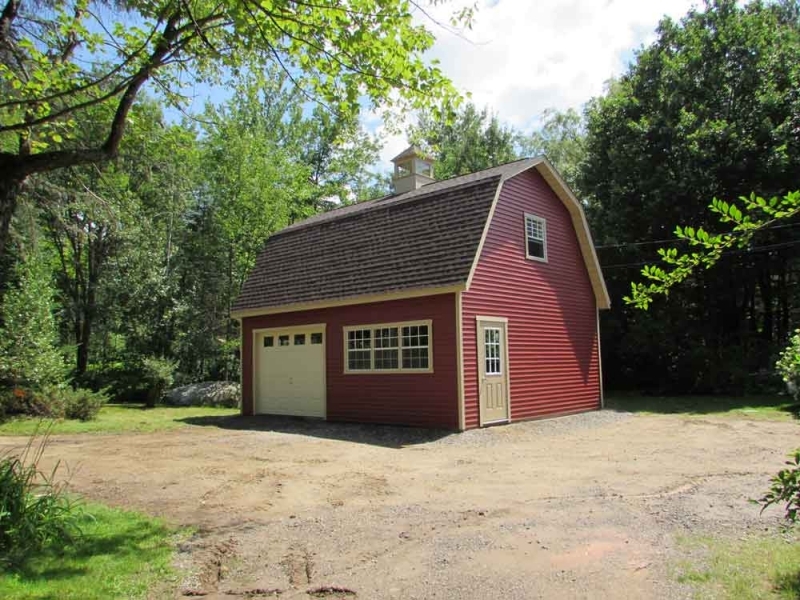 The Classic Series, offers the garage option in the Cape Code, Dutch, Manor A, Manor Dutch, 2 Story A, and 2 Story Dutch. We also offer 2 car, 3 car garages in both modular, pre fab and or total built on site units. The modular/pre-fab units are brought in sections and pieced together on site. 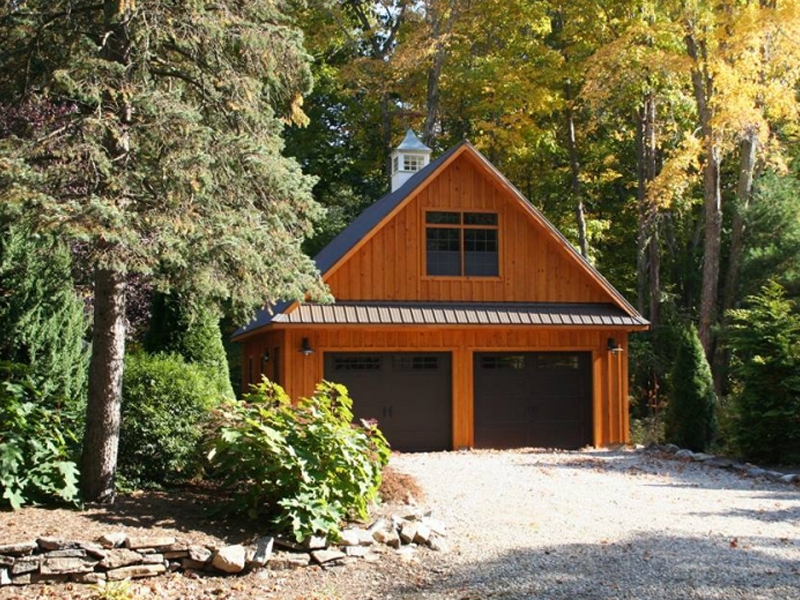 The total built on site garages are a much more custom and designed garage. The 2 story garages are done with a staircase to the 2nd floor allowing additional storage. 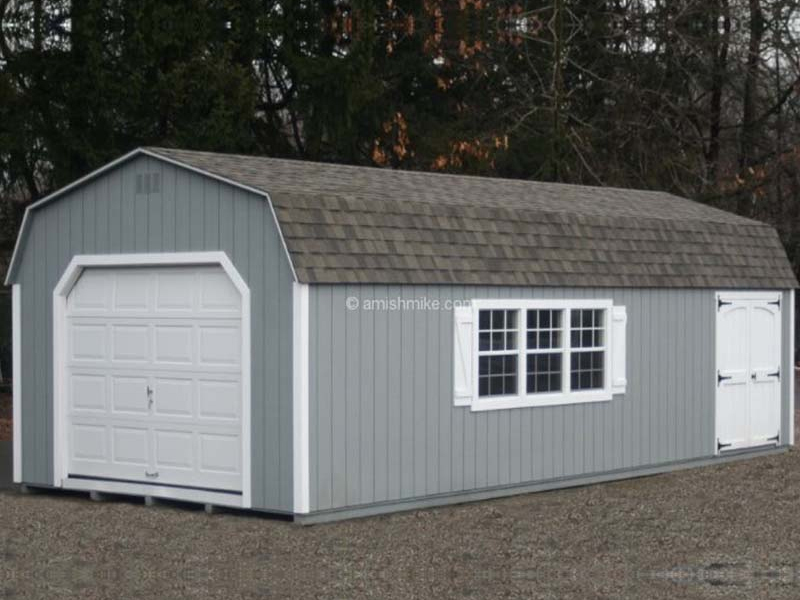 There are so many options on any of our garages and series that will allow you to design your garage to your specifications. Some of the more popular options are, additional windows, bigger windows, custom door designs, insulated garage doors, garage doors with glass, homestead/heritage garage door with or without glass inserts, cupolas, flower boxes, vinyl siding, lap siding, hardy plank, dormers, transom dormers and more. 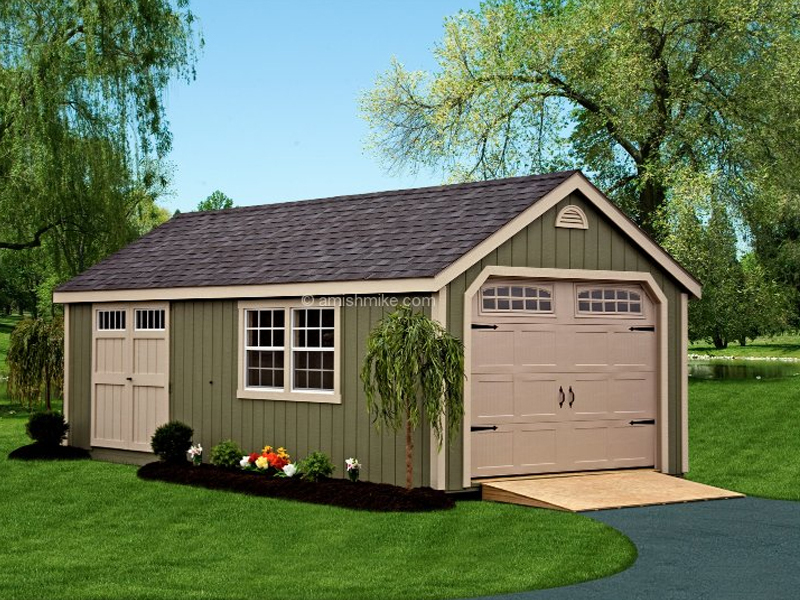 All garages will come furnished to your color choices and to your options you desire. 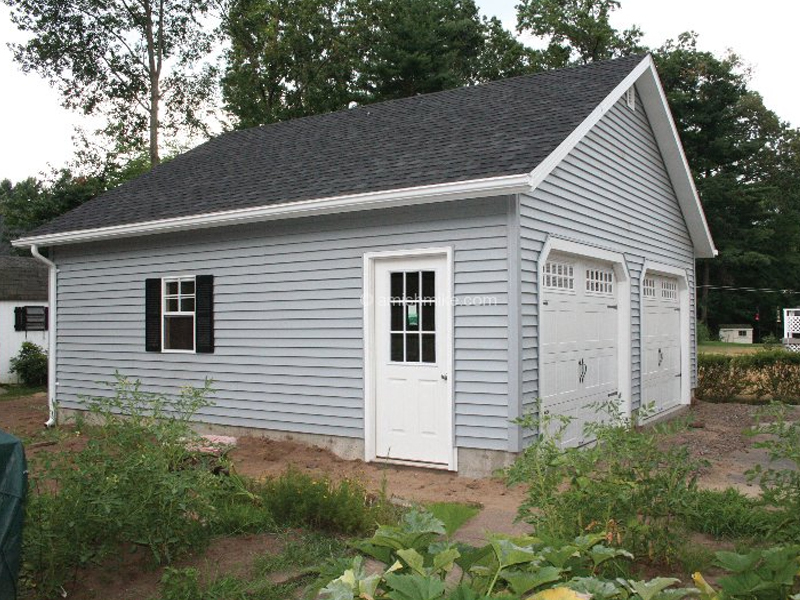 You can design the layout of your garage by placing your doors and windows to your specifications. 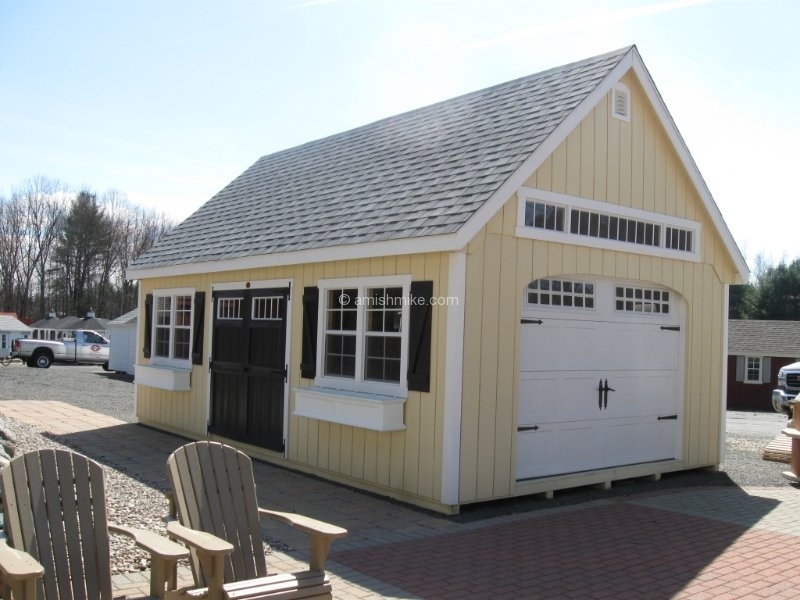 Many of our garages are on display at our store!